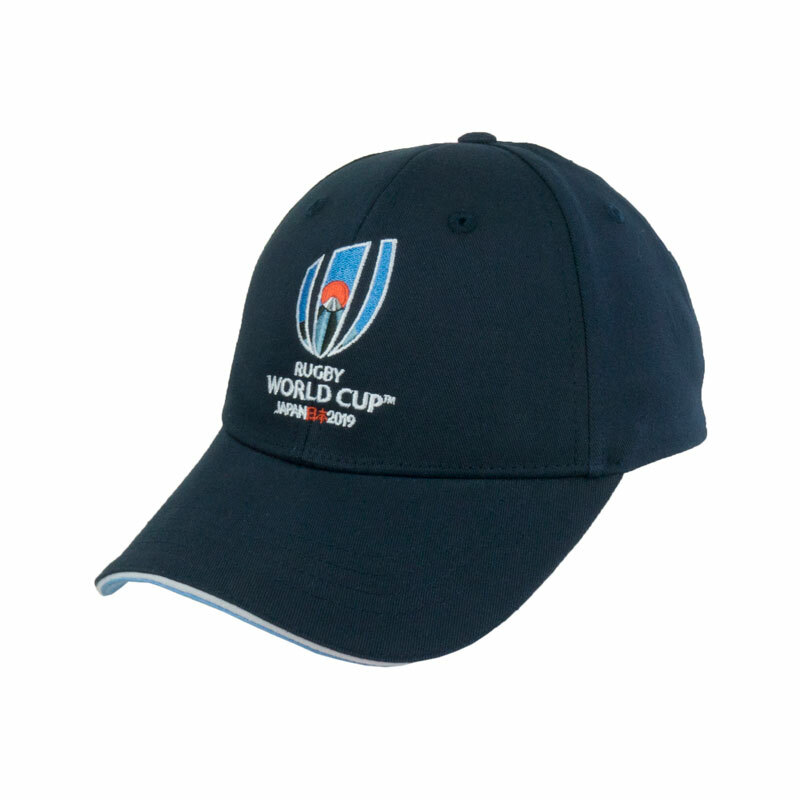 Official Rugby World Cup 2019 Core Logo Cap. A cotton drill supporters cap with an embroidered Rugby World Cup logo stitched onto the front. One size fits all with an adjustable metal clasp.